When we talk about Infinity Windows appearance and design it invokes a recognition and appreciation of the level of craftsmanship and precision associated with its development. From aesthetics to operation, each advanced feature engineered into the product helps make Infinity different and better than other replacement windows. Traditional Profiles and Appearance — Infinity windows are designed by the wood window experts at Marvin Windows and Doors to have all the traditional beauty of wood windows, without the maintenance. Marvin has over 70 years of experience making beautiful, innovative window and door products. Modern glazing uses an assortment of ways to secure window glass into the sash: wooden stops, vinyl glazing beads and aluminum caps– none of which add any traditional appeal to the aesthetics of the window. For many years, it was customary for windows to be putty-glazed and the exterior edge of Infinity’s fiberglass sash replicates that detail of the past. It’s a feature that is pleasing for those who appreciate traditionalism and one that is invaluable for those attempting to replace or renovate in historically-regulated districts. Large Glass Area — Because of the superior strength of Ultrex fiberglass, Infinity window profiles are narrower than most other replacement windows. This allows a larger glass area that provides more daylight indoors and gives you a better view outdoors. Thermoset - These features underscore Infinity’s commitment to traditional appearance, but great design couldn’t have happened without great capabilities. Credit has to be given to the superior properties of the Ultrex fiberglass for allowing these features to become part of the overall design. The Ultrex is a thermoset material which means it retains it’s shape under heat and over time. It’s this stability of the material, coupled with an expertise in pultruding fiberglass in complex shapes and profiles that permits the fabrication of Infinity windows with such traditional character. Not all replacement window manufacturers do this– it’s not that they wouldn’t want to have these features and hand-crafted appearance ( they would), but for some, it’s just not possible. THERMOPLASTIC - Many replacement windows are made of vinyl or vinyl/wood composite and these materials are thermoplastic, meaning they can lose their shape over time and under heat and also experience a much higher rate of expansion and contraction when compared to Ultrex fiberglass. Consequently, they design windows made of these materials in accordance with the material capabilities, often resulting in appearances that are bland or unappealing. What you won’t see are unpleasant features such as weep-holes. With Infinity, water prevention and management is incorporated into the design and engineering of the sash and frame construction and is not dependant on unsightly drain and weep-hole systems that generally clog up anyway. The stability of the Ultrex keeps the Infinity window square and solid so it will stand up against the elements over time and under various climatic changes. 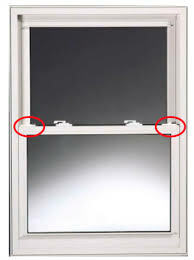 Another thing you won’t see on Infinity Double Hung windows are visible tilt-latches for the bottom sash. The checkrail creates a natural focal point when looking at Double Hung windows and visible tilt-latches and levers add clutter to the checkrail area and can distract your view. With Infinity’s advanced hardware design, the tilt function for the bottom sash is cleverly concealed within the sash lock leaving the checkrail smooth and unobstructed to uphold traditional appearances. 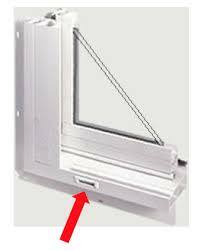 How about this one– dual locks on narrow width Double Hung windows?? 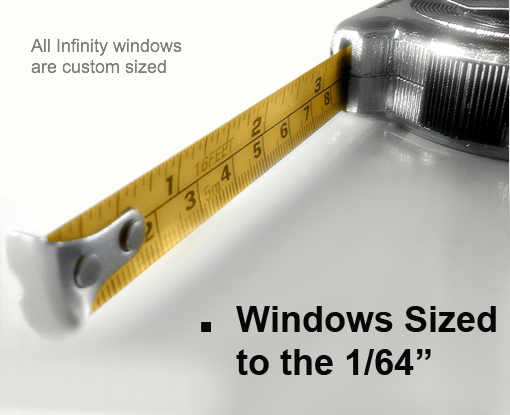 You won’t see that on Infinity windows, but you sure will find them on other replacement windows. Why would some manufacturers do that? Because they have to! 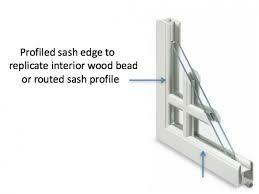 Generally weaker materials or materials with great expansion and contraction require two locks to secure the sash and to assist with defending air and water infiltration. It’s easy to understand why some of those companies use plastic locks- considering that they have to put two on every window, regardless of the size. It could get expensive for them if they used real hardware. Infinity does use real hardware. 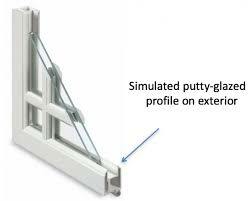 Infinity Double Hung windows have heavy-duty zinc diecast locks and keepers that provide superior performance. In addition to the sturdy hardware, the Ultrex material strength and minimal expansion and contraction insures the interlock seals tightly and offers high performance against air and water infiltration without being dependant on another lock. You also won’t see any excessive weatherstripping on Infinity windows. 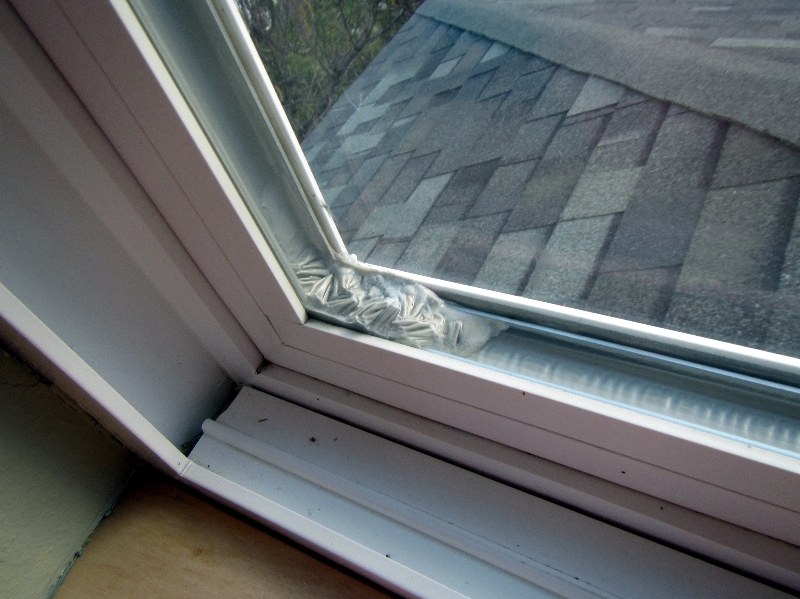 As with the necessity of using dual locks, often times other replacement windows depend on extra and excessive weatherstripping to help curb air infiltration in products made with materials that are prone to shift, warp, bow and expand and contract. It’s bulky and unattractive and tends to be a great dust and dirt collector which causes discoloration which is a real eyesore. Soiling can mat or compress the weatherstrip pile compromising its ability to perform. In contrast, Infinity windows are designed to conceal weatherstripping and offer high performance with minimal affect on the overall aesthetics of the window. It’s yet another example of how great design coupled with great materials can provide an option that is different and better for the consumer. I think by now the point is clear. The capabilities of the Infinity from Marvin window and the attention to detail incorporated into the traditional design allows Gravina's Window Center of Littleton to compliment your homes interior and exterior décor. When you look at and thru your Infinity windows you will like what you see, and let’s not forget, you will also like what you don’t see! 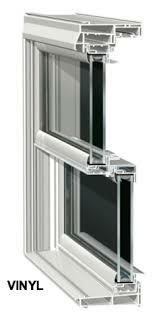 Infinity Replacement Windows from Marvin offer unmatched appearance and design. 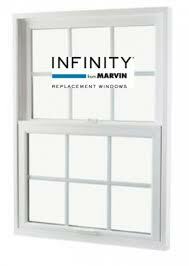 Set up your appointment now so you can learn more about why you need Infinity from Marvin Windows in your home! Call 303-794-0490 today!